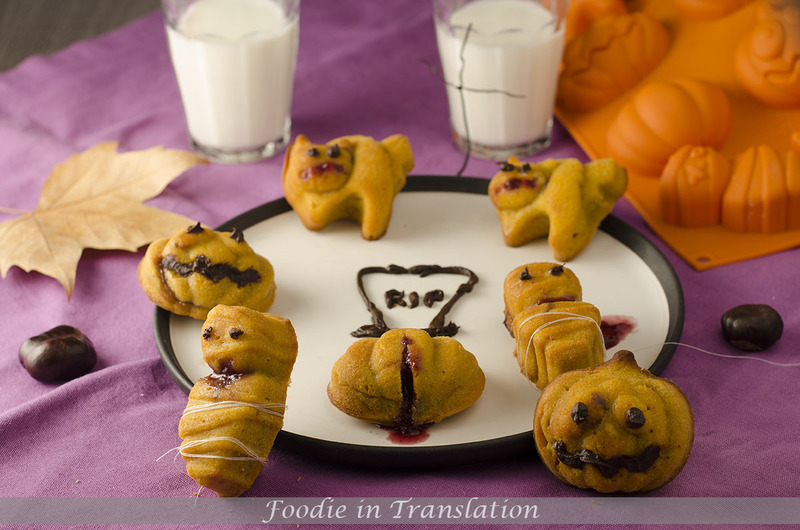 For the first time, even if we consider my previous blog, I am finally able to offer my readers something specifically dedicated to Halloween: it is my pleasure to introduce you to my frightful pumpkin muffin with raspberry jam!!! 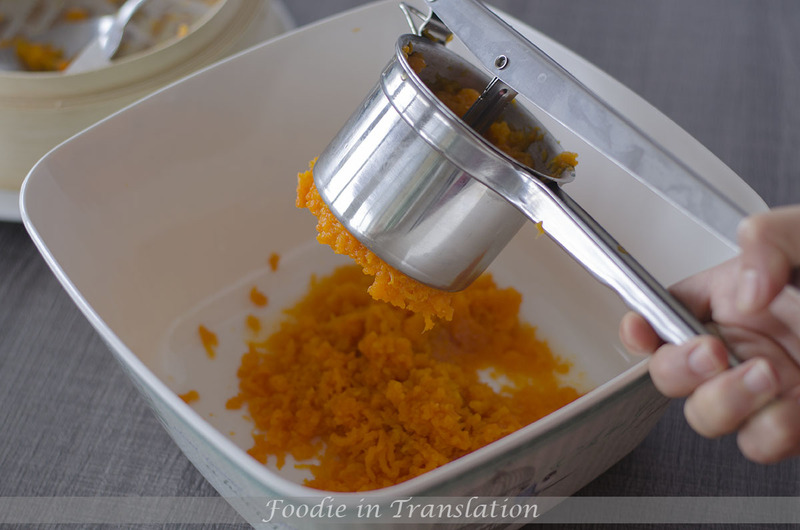 I really enjoy eating pumpkin soupes, creams or risotto, but I never used pumpkin for making bread, pies or desserts. First attempt? Obviously, a treat!! Remove the skin and the seeds from the pumpkin and cut it in pieces. 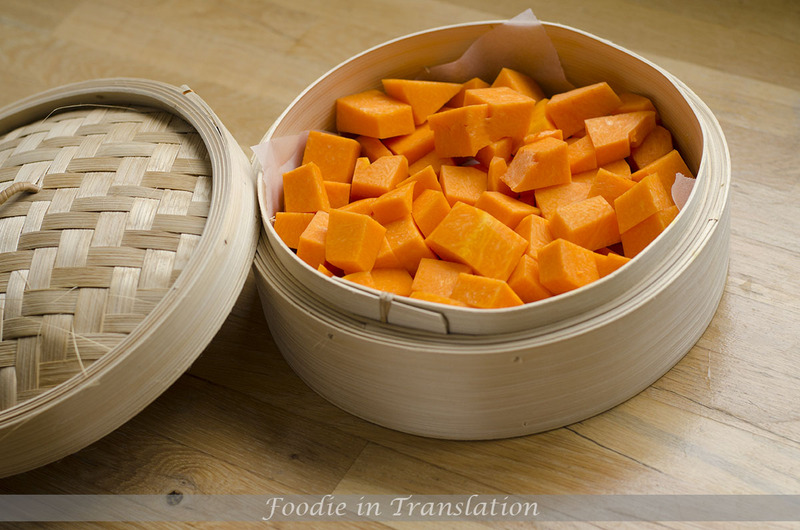 Place them in a bamboo steamer and let them cook for 20-25 minutes until tender (check the doneness with a fork). 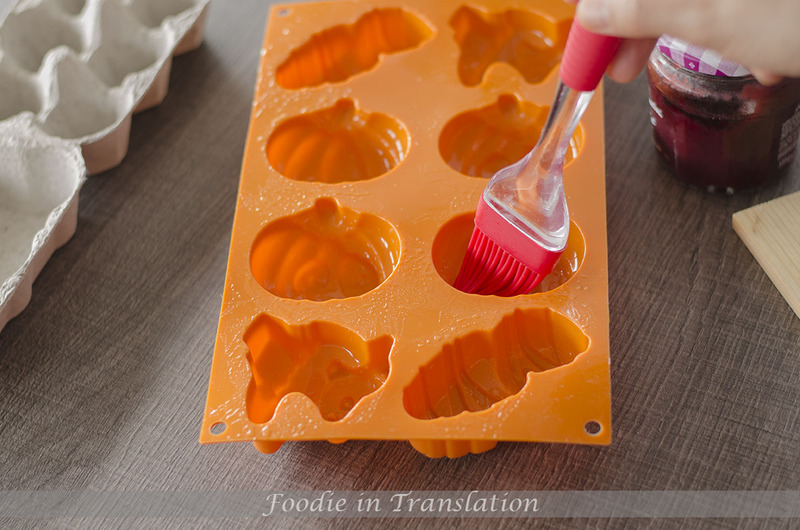 Drain the pumpkin cubes for removing some water and crush them with a smasher or with a potatoes ricer. Mix all the ingredients, except for the jam, in a bowl. 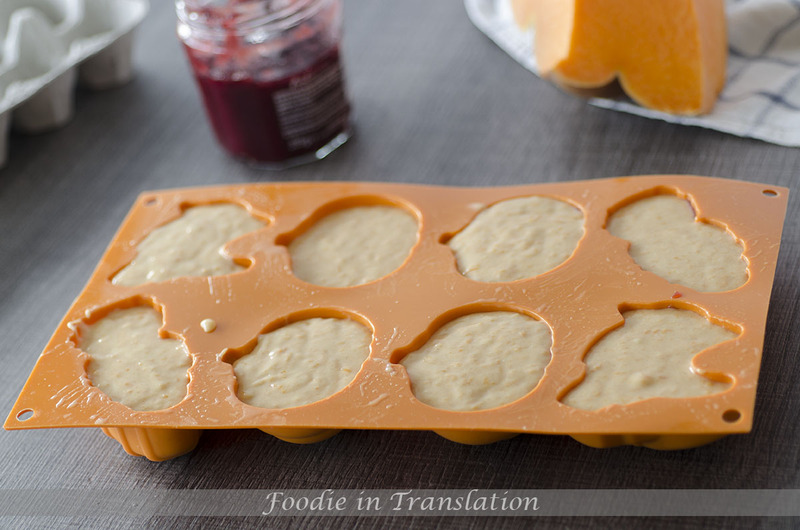 and fill only half of it with the muffin mixture. and cover with the remaining mixture. Put into the oven and bake for 35-40 minutes (check the doneness with a toothpick). 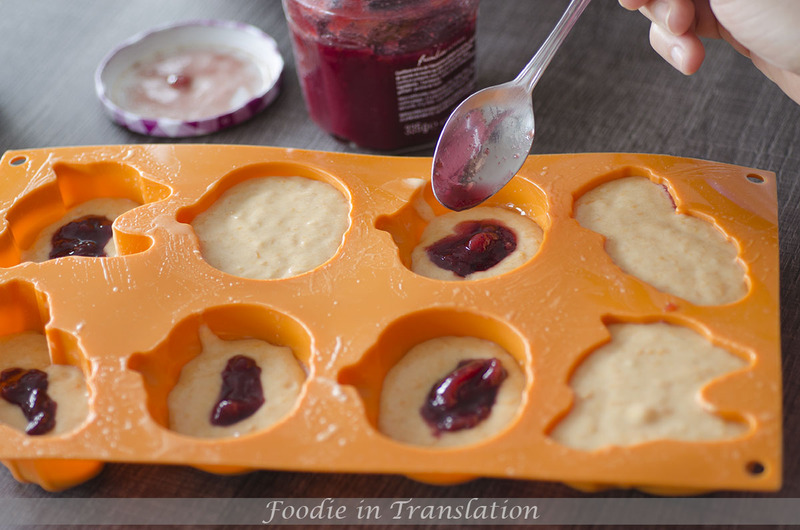 Decorate the muffin with melted dark chocolate and the jam. The pumpkin muffin with raspberry jam are ready!! So… trick or treat? Definitely treat! !